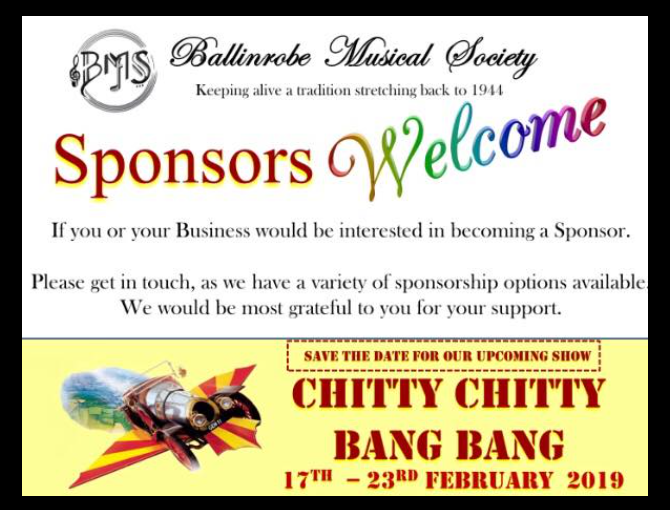 Posted on January 17, 2019 by Tracy Hennelly in "Chitty Chitty Bang Bang 2019"
We are busy behinds the scenes putting our program together, and our Treasurer is calling to business when possible. If you are interested is being a Sponsor please get in touch. We would love to hear from you. Keeping alive a tradition stretching back to 1944, which is only possible due to our generous Sponsors.